The Intergovernmental Panel on Climate Change (IPCC) released the first part of its fifth assessment report (AR5) on Friday. It clearly states that climate change is real and human activities are the main drivers. Authored by hundreds of scientists from around the world, the report says, “It is extremely likely (95% confidence) that human influence has been the dominant cause of the observed warming since the mid-twentieth century.” This is stronger language than the panels’ previous report in 2007, which said human activities that emit greenhouse gases were “very likely” (90% confidence) causing the atmosphere to warm. As a consensus report with data gathered from thousands of peer-reviewed published research papers, the wording is very conservative. Even so, the change of phrasing reflects a significant improvement in scientific understanding and increasing certainty on the issue. 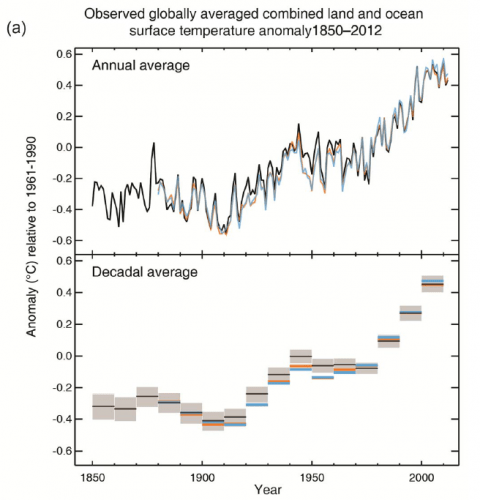 According to the report, global average temperatures have increased 1.5°F between 1880 and 2012. Offering four different scenarios for the future, based on varying controls of greenhouse gas emissions, the panel projects an additional rise in global temperatures ranging from 0.5°F to 8.6°F. They say the worst impacts of climate change will only be avoided if warming is limited to 3.6°F above pre-industrial levels. To do this, the report endorses a carbon budget for the atmosphere – an absolute ceiling on greenhouse gas emissions – of one trillion tons. Globally, we have already released one-half of that amount and energy demand is growing. The report also found that global average sea level has risen 7.5 inches since 1901. As the world’s oceans thermally expand and land ice continues to melt, the panel expects sea levels to rise another 10 to 38 inches by the end of the century. Formed by the United Nations in 1988, the IPCC assesses climate change and its impacts on society. It consists of three working groups that publish reports every five to six years. This most recent document was issued by Working Group I, which focuses on the science of climate change. Working Groups II and III deal with adaptation and mitigation, respectively. Their reports are due out early next year. When put together, they form the scientific basis for all U.N. negotiations on global climate treaties. Two years ago today, I started writing The Weather Gamut. I did so in an effort to both deepen and share my knowledge about weather and climate change. In the process, I have met some great people with similar interests and concerns. Thank you all for taking the time to read this blog and email your comments. As weather is a continuously changing phenomenon and the impacts of climate change are becoming more apparent, there is not likely to be a shortage of topics for future posts. 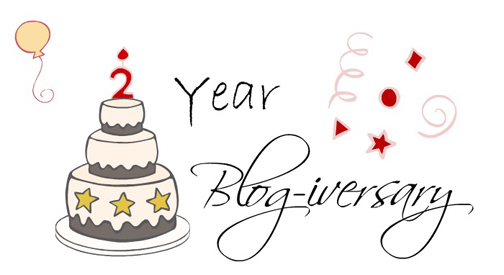 So, I look forward to continuing this rewarding online journey onto its third year! The hurricane season in the U.S. has been fairly slow this year – at least so far. Mexico, our neighbor to the south, however, has not been so lucky. Hit from both sides, Mexico was slammed by two separate tropical storms this week. Manuel moved in from the Pacific and Ingrid came ashore from the Gulf. Both storms brought torrential rain that caused widespread flooding, landslides, and power outages. Impacting millions of people across the country, this one-two punch of extreme weather claimed the lives of at least one hundred people and displaced thousands more. One of the hardest hit areas was Acapulco on the west coast, where 7.43 inches of rain is reported to have fallen in one twenty-four hour period. The flooding was so severe in this popular resort town that it turned roads into raging muddy rivers and carried crocodiles into the city. With the only highway out of town destroyed in a landslide and the airport submerged in waist deep water, locals along with nearly forty-thousand tourists have been stranded there for days. According to the Mexican National Weather Service, the last time Mexico was hit by two tropical storms within a span of twenty-four hours was back in 1958. Glaciers are dynamic. Over time, they advance or retreat depending on climatic conditions. 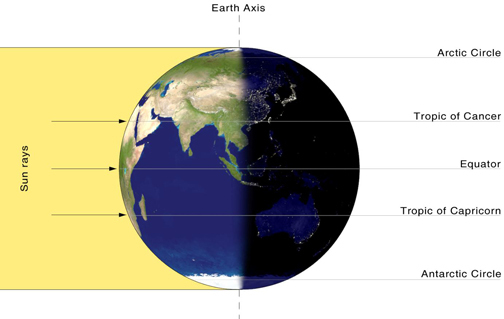 They form, and spread, when more snow accumulates in the winter than melts in the summer. Since the end of the Little Ice Age in the mid-1800s, most glaciers have been either stable or in slow retreat. In the last half century, however, that rate of retreat has increased. This summer, I had the opportunity to travel around Alaska. While there, I visited a few of its nearly one hundred thousand glaciers and learned more about how they are responding to climate change. According to the U.S. Fish and Wildlife Service, Alaska’s statewide glacial mass balance – the net gain or loss of ice – has been negative since the middle of the 20th century. While conditions at individual glaciers vary, the majority are melting. Recognizing that natural variables like the Pacific Decadal Oscillation (PDO) and El Nino Southern Oscillation (ENSO) have always affected Alaska’s glaciers, most scientists agree that human-caused global warming has accelerated glacial retreat across the state. Earth’s average temperature increased 1.4°F in the last century, but Alaska is warming even faster. The E.P.A. reports that Alaska’s average temperature has increased 3.4°F in the past fifty years with winters warming by an average of 6.3°F. These warmer temperatures coupled with shifting precipitation patterns are causing glaciers to both shrink in length and thin in volume. 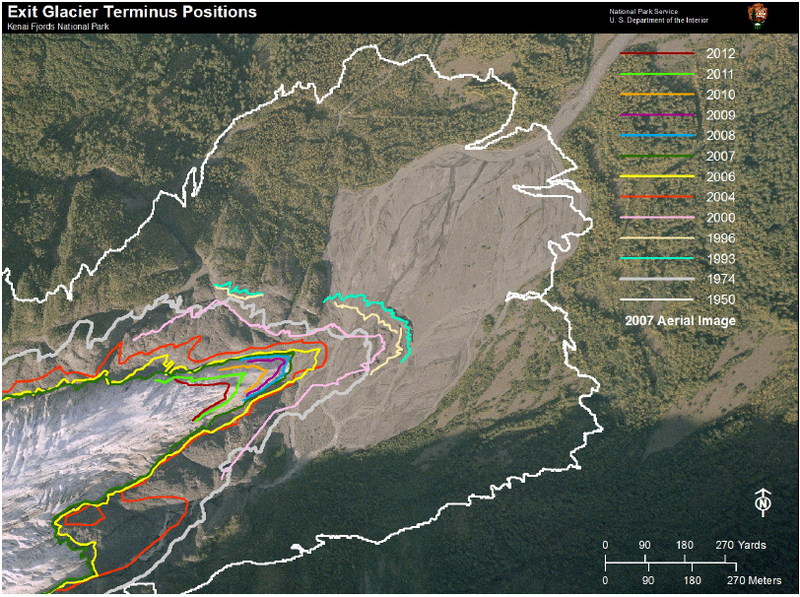 A striking visual example to this process is Exit Glacier in Kenai Fjords National Park. 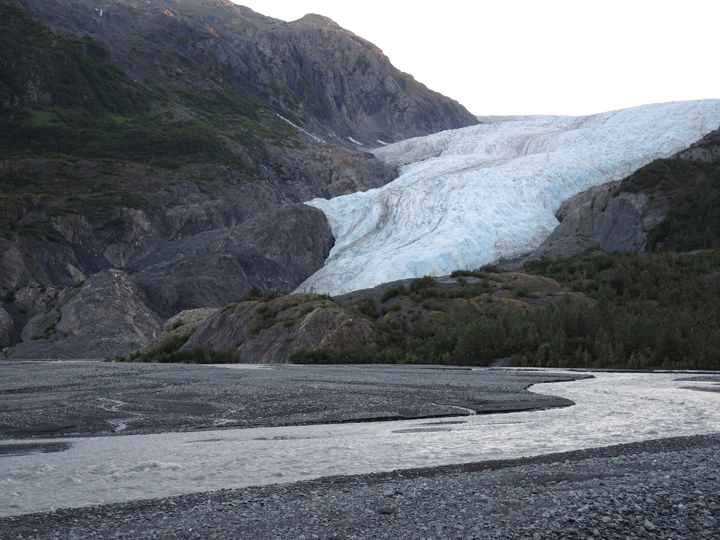 It is one of forty glaciers in the park that flow out of the Harding Ice Field, but is the only one easily accessible by foot. 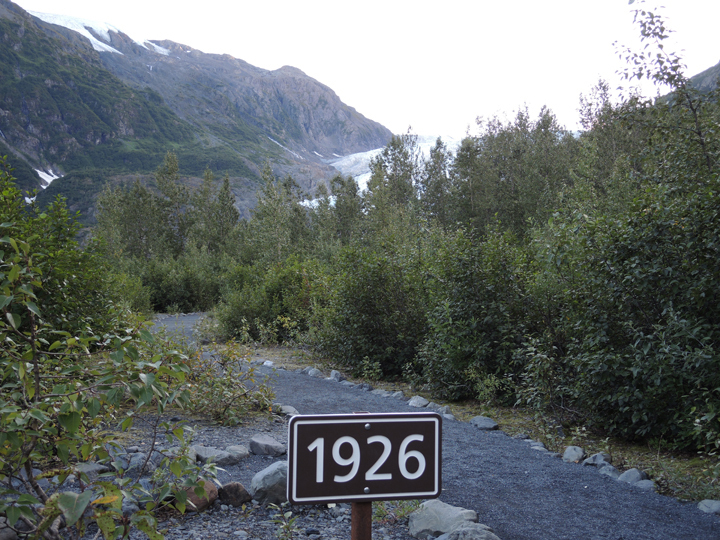 As such, the trail leading up to it is marked with signs that point out the glacier’s previous extent and progressive retreat over nearly two hundred years. The first sign, 1815, is now over one and a half miles from the current terminus. According to the National Park Service, this glacier has been receding at a rate of forty three feet per year, on average. Between September 2011 and October 2012, however, it retreated one hundred thirty three feet. While shrinking glaciers in Alaska may seem like a remote environmental issue, they have far reaching impacts. A recent study by NASA and the University of Alaska – Fairbanks found that the state’s melting glaciers are one of the largest contributors to rising global sea levels. While traveling in Alaska recently, I had the opportunity to visit Denali National Park and Preserve. Its landscape, which includes Mt. McKinley – the highest mountain in North America – and its diverse wildlife were nothing short of impressive. 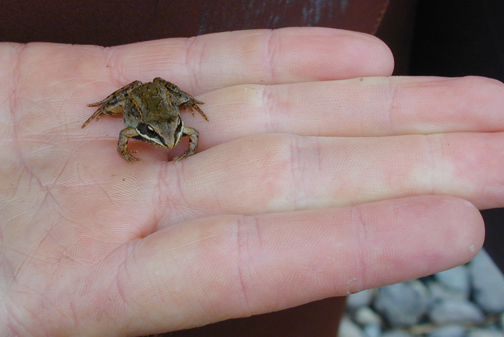 However, it was the tiny wood frog – the park’s only amphibian – that peaked my curiosity when I learned how it survives the region’s subarctic winters. Situated at roughly 63°N latitude, winters in Denali are long and extremely cold. From October to March, temperatures can range from 20°F to as low as -40°F. These cold conditions drive many creatures to hibernate in dens or migrate south. The wood frog, however, makes it through winter by burrowing into leaf litter and literally freezing solid until spring. According to wildlife biologists, a wood frog responds to falling temperatures by converting glycogen in its liver into glucose (sugar) and pumping it throughout its body. Acting like a natural anti-freeze, the glucose lowers the freezing point of water inside the frog and protects its tissues and organs. As temperatures continue to drop, however, the frog does eventually freeze. Throughout the winter, the frog is essentially lifeless. Its heart stops beating and it does not breathe. Yet, as temperatures rise in spring, the frog thaws and comes back to life. While scientists are not exactly sure how this amazing resurrection works, they have noted that the wood frog’s heart and liver freeze last and thaw first. Although the wood frog can be found across North America, the Alaskan wood frog is known to endure colder temperatures and freeze for longer periods of time than its southern cousins. It is also the only frog found north of the Arctic Circle. The first hurricane of the 2013 Atlantic Season has officially arrived. 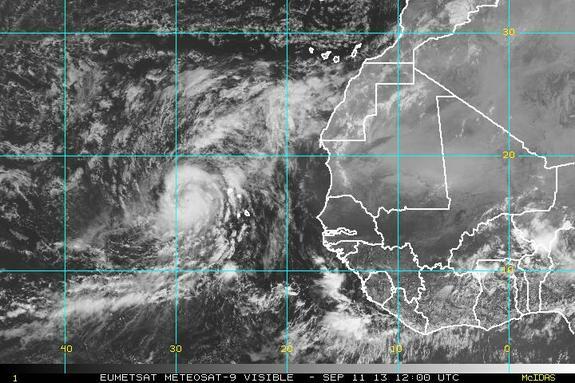 Humberto strengthened from a tropical storm into a category-1 hurricane early this morning off the coast of Africa. According to the NWS, this year’s first hurricane is unusually late. The Atlantic usually sees a hurricane develop before August 10th. More than a month behind schedule, Humberto just missed tying the record for the latest first hurricane by only three hours. That record remains with Hurricane Gustav, which formed a little after 8 A.M. on this date back in 2002. Forecasters do not expect Humberto to impact the U.S. However, it is important to remember that the Atlantic Hurricane Season runs through November 30th and the latter part of the season is usually its most active. Hurricane Humberto forms off the coast of Africa.